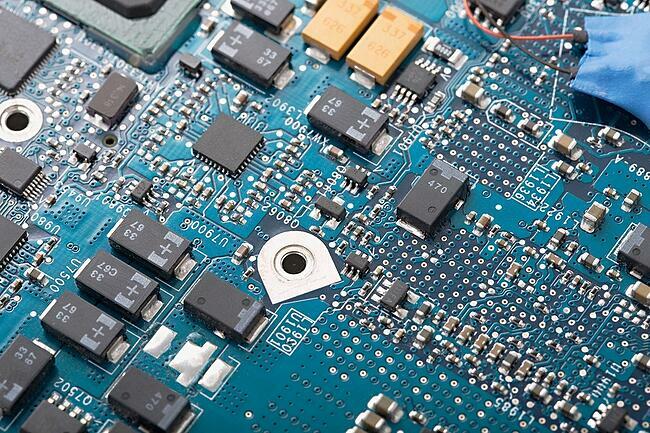 A good electronics product design (or electronic redesign) is foundational for creating a quality and timely product. When the important basics of electronic design get glossed over or forgotten, processes get delayed, products lack specificity and you’re likely unhappy. We want to avoid anything that makes our products or partners unsuccessful, so we’ve compiled this list of design basics to keep in mind when working on your design. These are the same elements we look for when we design or redesign and product in order to set up efficient manufacturing and a product we can stand behind. Before getting deep into a bill of materials or drawings, ask yourself what you anticipate this product doing once it’s completed. If what you really need is a giant water cannon, you don’t want to waste time designing a sprinkler. Think critically, carefully, and fully about what the product will do and where it will do it. Knowing your destination is fundamental to understanding how you’re going to get there. This is the only way to truly know when you are “done” with your design. Your complete specification needs to be agreed up by all parties. Only then can you be certain that the customer will be satisfied. Simple is elegant. Simple is often easier. Simple is often cost-efficient. The simplest solution is usually the best one. As engineers, we can get a little too excited about creative design possibilities but your best option for good design is typically the simplest. No need to go all the way around the block when a straight line will get you from point A to point B. There is a saying that perfection is the enemy of done. It’s also the enemy of progress, profitability, and most importantly, sanity. It’s so tempting for a designer to spend tons of time on details that, ultimately, don’t matter. Stay focused on getting it operational and call that done. There will be plenty of opportunities to revisit and make enhancements to the design if necessary or desired. A good design should not create questions. It should answer them. The more clearly you spell out your goals and how you’d like to reach them, the easier it will be to put your design into motion. It might even be worth having someone outside your design team read over your plan to see if they can understand it. Even unintentional confusion in the building or manufacturing process can lead to major problems and expenses later on. Part of having your eye on the end-goal is keeping the entire process in mind as you design. Some amount of attention should always be given to the product’s manufacturing and its operational environment. You can create a perfect design but if the product won’t be able to function in its intended environment, the design is basically junk. Without going overboard, the design should include a comprehensive technical data package (BOM, Schematics, Mechanical drawings… etc.) that clearly addresses each major facet of the desired end product. All of these elements should be directly aligned with your intended goals for your product. Take the time to really think through and really plan your electronics design. Once you’ve got it all spelled out, go back and make sure you haven’t accidentally contradicted yourself or left questions unanswered. Double check that your goals and processes are clearly articulated. You do not want someone doing guesswork on your product. You also do not want your electronics manufacturing and or electrical assembly held up by questions you could have answered from the beginning. When you put the time into your electronic product design, you are investing in a product that will more likely stay in its timeline and be completed to your specifications. These criteria that we recommend to you are the same we use when we put our design team to work on your project. We believe in these basics because we know they work. Years of assisting our customers with forward-thinking and clear designs have helped us see what’s truly essential and what can be cut away to save your project both time and money. But we never take away anything that would jeopardize your project’s quality. That always remains our number one priority. The next time you are designing or redesigning a product, keep these basics in mind to put together a complete and clear design package. Or, bring your design to work to Levison Enterprises and we can work together to quickly and efficiently create a design that will meet your goals and probably exceed them. We would love to add our team’s years of experience and design expertise to your next project. Contact Levison Enterprises for your next design or redesign project.